I used to be obsessed with disinfectant wipes. I kept them everywhere. In the kitchen, bathrooms, dining room. They were so convenient. 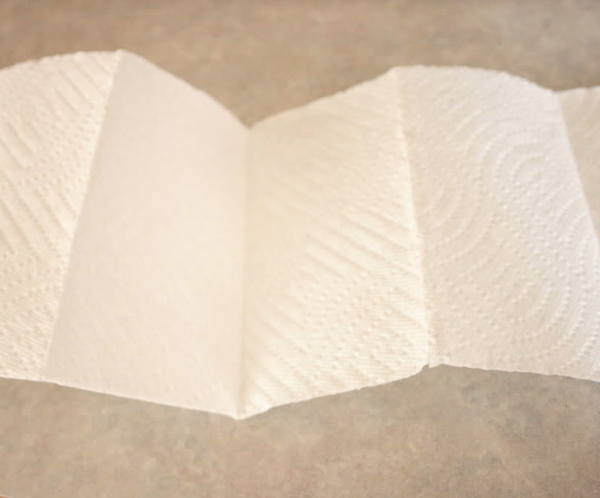 Sticky fingerprints on the table... grab a wipe, bathroom counter needs cleaned... grab a wipe, sticky kitchen counters... grab a wipe. Of course this obsession was short lived when I realized how much I was spending on those bad boys. Not to mention all of the harmful chemicals that they contain. Want to make your own? Here is what you'll need. I had the select-a-size paper towels and started folding them in an accordion fold. After folding the desired amount (I used around 20) tear off from the rest of the roll and cut your paper towels in half. I found several websites that suggested cutting the entire roll of paper towels in half and sticking one half inside a larger container such as an old coffee grounds container. This would be a lot easier than folding all of the paper towels but it would not fit in the container I had. Do what works best for you. I used vinegar as suggested in this article. If you do not like the strong vinegar scent there are several other recipes found online. Loooove this! I used to make homemade baby wipes this way with half a roll of bounty in a tupperware container and 1/4 cup of water and baby wash poured over top. You let it absorb and then you can easily pull out the cardboard center and have pull-up wipes from the center of the the paper towel roll. I love your idea for the accordion fold ones. 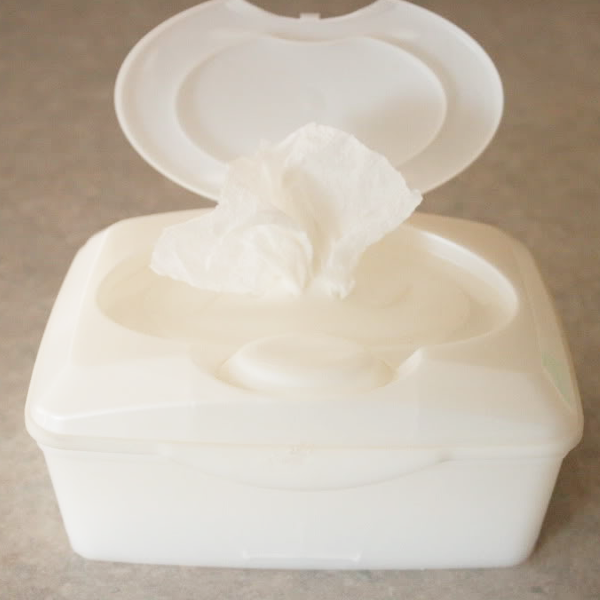 I'm past the baby wipe stage, but still addicted to wipes for quick and easy clean-ups, too! What a fantastic idea! I can't wait to make this. Thanks for the link party today! Please stop by www.laughloveandcraft.com and link up to my Share the Wealth Wednesday Link Party! I'm your newest follower! Wow... nice idea :) Thanks for sharing. I am certainly going to try this! what a great idea, would have never ever thought of doing this!! will save me loads of money!! That's a great idea, thanks for sharing!! This is brilliant! I am totally addicted to disinfectant wipes- I am going to have to try this. Found you on the Blog Hop and I am your newest follower! I would love to have you stop by and visit our blog if you want to! We also have a link party going on this weekend if you want to come link up your blog! I have always been too cheap to buy disinfectant wipes, so now I will be able to afford the convenience! Can't wait to make these! Thanks for sharing this great idea at Beach Cottage Good Life Wednesdays. I am so excited to find this!! I am obsessed with clorox wipes but hate spending money on them! Thanks for the tip! Good idea! I tried to make my own baby wipes with paper towels (the soft ones like Viva brand) and a tupperware container but I could never get the fit right. I guess you do just have to keep experimenting to find what works best! If you soak about 4-6 oranges worth of orange peels in a gallon of white vinegar for 1+ weeks, it infuses the vinegar with a strong orange scent. 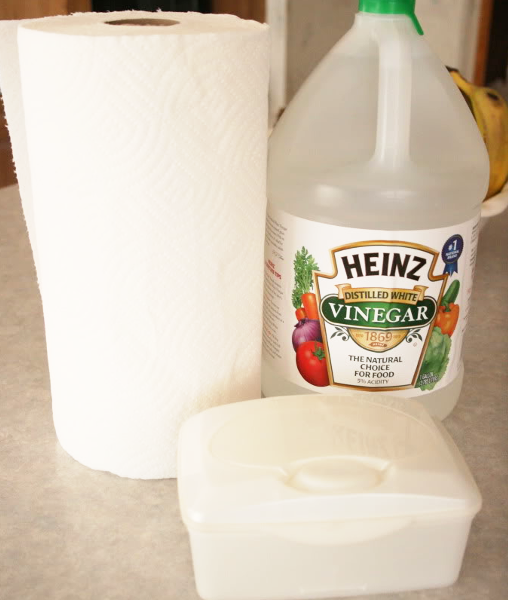 The orange oil is a powerful cleaning agent and also, it gets rid of the horrific vinegar smell! 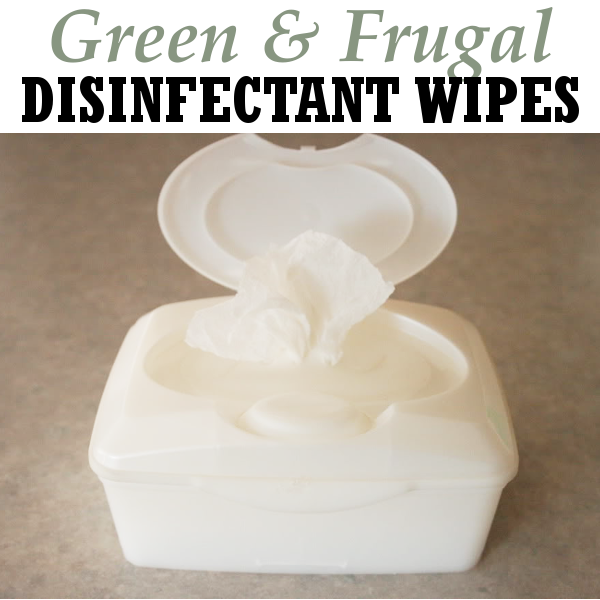 Now you can create hygienic disinfectant wipes at home by leaning these frugal tips.